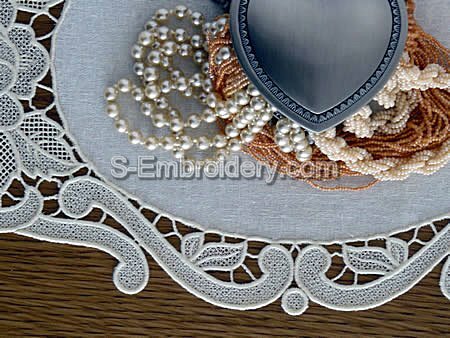 This set of 3 freestanding lace machine embroidery designs will produce a fine doily. 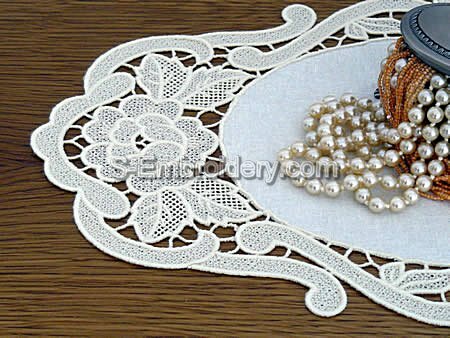 The size of the doily featured on our site is 18 x 11 inches (46 x 27 cm). 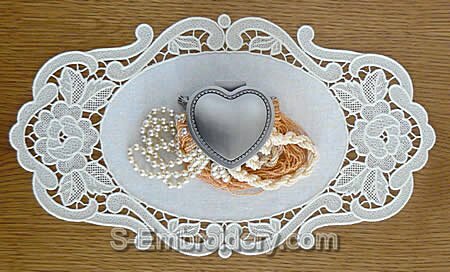 The set comes with instructions for stitching out the lace and putting together the doily.